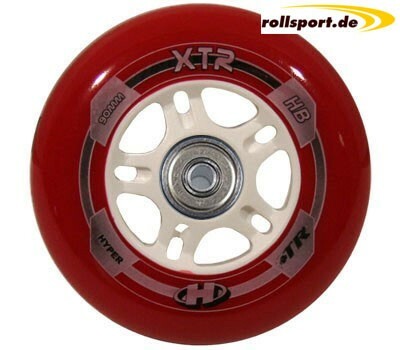 Hyper XTR 100mm Rollen with bearings and spacers - the new red 100mm spare wheels for inline skates with wheel size 100mm. These wheels are very well suited for fitness training. Due to the high wheel diameter of 100mm, small stones and other small obstacles can easily be overcome. These wheels are equipped with Abec 9 ball bearings and optionally 6mm or 8mm spacers.